YUSUFALI: We gave Moses the Book, and made it a Guide to the Children of Israel, (commanding): "Take not other than Me as Disposer of (your) affairs." PICKTHAL: We gave unto Moses the Scripture, and We appointed it a guidance for the children of Israel, saying: Choose no guardian beside Me. YUSUFALI: O ye that are sprung from those whom We carried (in the Ark) with Noah! Verily he was a devotee most grateful. PICKTHAL: (They were) the seed of those whom We carried (in the ship) along with Noah. Lo! he was a grateful slave. SHAKIR: The offspring of those whom We bore with Nuh; surely he was a grateful servant. YUSUFALI: And We gave (Clear) Warning to the Children of Israel in the Book, that twice would they do mischief on the earth and be elated with mighty arrogance (and twice would they be punished)! PICKTHAL: And We decreed for the Children of Israel in the Scripture: Ye verily will work corruption in the earth twice, and ye will become great tyrants. SHAKIR: And We had made known to the children of Israel in the Book: Most certainly you will make mischief in the land twice, and most certainly you will behave insolently with great insolence. YUSUFALI: Then did We grant you the Return as against them: We gave you increase in resources and sons, and made you the more numerous in man-power. PICKTHAL: Then we gave you once again your turn against them, and We aided you with wealth and children and made you more in soldiery. SHAKIR: Then We gave you back the turn to prevail against them, and aided you with wealth and children and made you a numerous band. YUSUFALI: If ye did well, ye did well for yourselves; if ye did evil, (ye did it) against yourselves. So when the second of the warnings came to pass, (We permitted your enemies) to disfigure your faces, and to enter your Temple as they had entered it before, and to visit with destruction all that fell into their power. PICKTHAL: (Saying): If ye do good, ye do good for your own souls, and if ye do evil, it is for them (in like manner). So, when the time for the second (of the judgments) came (We roused against you others of Our slaves) to ravage you, and to enter the Temple even as they entered it the first time, and to lay waste all that they conquered with an utter wasting. SHAKIR: If you do good, you will do good for your own souls, and if you do evil, it shall be for them. So when the second promise came (We raised another people) that they may bring you to grief and that they may enter the mosque as they entered it the first time, and that they might destroy whatever they gained ascendancy over with utter destruction. YUSUFALI: It may be that your Lord may (yet) show Mercy unto you; but if ye revert (to your sins), We shall revert (to Our punishments): And we have made Hell a prison for those who reject (all Faith). PICKTHAL: It may be that your Lord will have mercy on you, but if ye repeat (the crime) We shall repeat (the punishment), and We have appointed hell a dungeon for the disbelievers. SHAKIR: It may be that your Lord will have mercy on you, and if you again return (to disobedience) We too will return (to punishment), and We have made hell a prison for the unbelievers. PICKTHAL: Lo! this Qur'an guideth unto that which is straightest, and giveth tidings unto the believers who do good works that theirs will be a great reward. SHAKIR: Surely this Quran guides to that which is most upright and gives good news to the believers who do good that they shall have a great reward. YUSUFALI: And to those who believe not in the Hereafter, (it announceth) that We have prepared for them a Penalty Grievous (indeed). PICKTHAL: And that those who believe not in the Hereafter, for them We have prepared a painful doom. SHAKIR: And that (as for) those who do not believe in the hereafter, We have prepared for them a painful chastisement. YUSUFALI: The prayer that man should make for good, he maketh for evil; for man is given to hasty (deeds). PICKTHAL: Man prayeth for evil as he prayeth for good; for man was ever hasty. SHAKIR: And man prays for evil as he ought to pray for good, and man is ever hasty. YUSUFALI: We have made the Night and the Day as two (of Our) Signs: the Sign of the Night have We obscured, while the Sign of the Day We have made to enlighten you; that ye may seek bounty from your Lord, and that ye may know the number and count of the years: all things have We explained in detail. PICKTHAL: And We appoint the night and the day two portents. Then We make dark the portent of the night, and We make the portent of the day sight-giving, that ye may seek bounty from your Lord, and that ye may know the computation of the years, and the reckoning; and everything have We expounded with a clear expounding. SHAKIR: And We have made the night and the day two signs, then We have made the sign of the night to pass away and We have made the sign of the day manifest, so that you may seek grace from your Lord, and that you might know the numbering of years and the reckoning; and We have explained everything with distinctness. YUSUFALI: Every man's fate We have fastened on his own neck: On the Day of Judgment We shall bring out for him a scroll, which he will see spread open. YUSUFALI: (It will be said to him:) "Read thine (own) record: Sufficient is thy soul this day to make out an account against thee." PICKTHAL: (And it will be said unto him): Read thy Book. Thy soul sufficeth as reckoner against thee this day. SHAKIR: Read your book; your own self is sufficient as a reckoner against you this day. SHAKIR: Whoever goes aright, for his own soul does he go aright; and whoever goes astray, to its detriment only does he go astray: nor can the bearer of a burden bear the burden of another, nor do We chastise until We raise a messenger. YUSUFALI: How many generations have We destroyed after Noah? and enough is thy Lord to note and see the sins of His servants. PICKTHAL: How many generations have We destroyed since Noah! And Allah sufficeth as Knower and Beholder of the sins of His slaves. SHAKIR: And how many of the generations did We destroy after Nuh! and your Lord is sufficient as Knowing and Seeing with regard to His servants' faults. YUSUFALI: If any do wish for the transitory things (of this life), We readily grant them - such things as We will, to such person as We will: in the end have We provided Hell for them: they will burn therein, disgraced and rejected. PICKTHAL: Whoso desireth that (life) which hasteneth away, We hasten for him therein what We will for whom We please. And afterward We have appointed for him hell; he will endure the heat thereof, condemned, rejected. SHAKIR: Whoever desires this present life, We hasten to him therein what We please for whomsoever We desire, then We assign to him the hell; he shall enter it despised, driven away. YUSUFALI: Those who do wish for the (things of) the Hereafter, and strive therefor with all due striving, and have Faith,- they are the ones whose striving is acceptable (to Allah). PICKTHAL: And whoso desireth the Hereafter and striveth for it with the effort necessary, being a believer; for such, their effort findeth favour (with their Lord). SHAKIR: And whoever desires the hereafter and strives for it as he ought to strive and he is a believer; (as for) these, their striving shall surely be accepted. YUSUFALI: Of the bounties of thy Lord We bestow freely on all- These as well as those: The bounties of thy Lord are not closed (to anyone). PICKTHAL: Each do We supply, both these and those, from the bounty of thy Lord. And the bounty of thy Lord can never be walled up. SHAKIR: All do We aid-- these as well as those-- out of the bounty of your Lord, and the bounty of your Lord is not confined. YUSUFALI: See how We have bestowed more on some than on others; but verily the Hereafter is more in rank and gradation and more in excellence. PICKTHAL: See how We prefer one of them above another, and verily the Hereafter will be greater in degrees and greater in preferment. SHAKIR: See how We have made some of them to excel others, and certainly the hereafter is much superior in respect of excellence. YUSUFALI: Thy Lord hath decreed that ye worship none but Him, and that ye be kind to parents. Whether one or both of them attain old age in thy life, say not to them a word of contempt, nor repel them, but address them in terms of honour. PICKTHAL: Thy Lord hath decreed, that ye worship none save Him, and (that ye show) kindness to parents. If one of them or both of them attain old age with thee, say not "Fie" unto them nor repulse them, but speak unto them a gracious word. SHAKIR: And your Lord has commanded that you shall not serve (any) but Him, and goodness to your parents. If either or both of them reach old age with you, say not to them (so much as) "Ugh" nor chide them, and speak to them a generous word. YUSUFALI: And, out of kindness, lower to them the wing of humility, and say: "My Lord! bestow on them thy Mercy even as they cherished me in childhood." PICKTHAL: And lower unto them the wing of submission through mercy, and say: My Lord! Have mercy on them both as they did care for me when I was little. SHAKIR: And make yourself submissively gentle to them with compassion, and say: O my Lord! have compassion on them, as they brought me up (when I was) little. YUSUFALI: Your Lord knoweth best what is in your hearts: If ye do deeds of righteousness, verily He is Most Forgiving to those who turn to Him again and again (in true penitence). PICKTHAL: Your Lord is Best Aware of what is in your minds. If ye are righteous, then lo! He was ever Forgiving unto those who turn (unto Him). SHAKIR: Your Lord knows best what is in your minds; if you are good, then He is surely Forgiving to those who turn (to Him) frequently. YUSUFALI: And render to the kindred their due rights, as (also) to those in want, and to the wayfarer: But squander not (your wealth) in the manner of a spendthrift. PICKTHAL: Give the kinsman his due, and the needy, and the wayfarer, and squander not (thy wealth) in wantonness. SHAKIR: And give to the near of kin his due and (to) the needy and the wayfarer, and do not squander wastefully. YUSUFALI: Verily spendthrifts are brothers of the Evil Ones; and the Evil One is to his Lord (himself) ungrateful. PICKTHAL: Lo! the squanderers were ever brothers of the devils, and the devil was ever an ingrate to his Lord. SHAKIR: Surely the squanderers are the fellows of the Shaitans and the Shaitan is ever ungrateful to his Lord. YUSUFALI: And even if thou hast to turn away from them in pursuit of the Mercy from thy Lord which thou dost expect, yet speak to them a word of easy kindness. PICKTHAL: But if thou turn away from them, seeking mercy from thy Lord, for which thou hopest, then speak unto them a reasonable word. SHAKIR: And if you turn away from them to seek mercy from your Lord, which you hope for, speak to them a gentle word. YUSUFALI: Make not thy hand tied (like a niggard's) to thy neck, nor stretch it forth to its utmost reach, so that thou become blameworthy and destitute. PICKTHAL: And let not thy hand be chained to thy neck nor open it with a complete opening, lest thou sit down rebuked, denuded. SHAKIR: And do not make your hand to be shackled to your neck nor stretch it forth to the utmost (limit) of its stretching forth, lest you should (afterwards) sit down blamed, stripped off. YUSUFALI: Verily thy Lord doth provide sustenance in abundance for whom He pleaseth, and He provideth in a just measure. For He doth know and regard all His servants. PICKTHAL: Lo! thy Lord enlargeth the provision for whom He will, and straiteneth (it for whom He will). Lo, He was ever Knower, Seer of His slaves. SHAKIR: Surely your Lord makes plentiful the means of subsistence for whom He pleases and He straitens (them); surely He is ever Aware of, Seeing, His servants. YUSUFALI: Kill not your children for fear of want: We shall provide sustenance for them as well as for you. Verily the killing of them is a great sin. PICKTHAL: Slay not your children, fearing a fall to poverty, We shall provide for them and for you. Lo! the slaying of them is great sin. SHAKIR: And do not kill your children for fear of poverty; We give them sustenance and yourselves (too); surely to kill them is a great wrong. YUSUFALI: Nor come nigh to adultery: for it is a shameful (deed) and an evil, opening the road (to other evils). PICKTHAL: And come not near unto adultery. Lo! it is an abomination and an evil way. SHAKIR: And go not nigh to fornication; surely it is an indecency and an evil way. YUSUFALI: Nor take life - which Allah has made sacred - except for just cause. And if anyone is slain wrongfully, we have given his heir authority (to demand qisas or to forgive): but let him not exceed bounds in the matter of taking life; for he is helped (by the Law). PICKTHAL: And slay not the life which Allah hath forbidden save with right. Whoso is slain wrongfully, We have given power unto his heir, but let him not commit excess in slaying. Lo! he will be helped. SHAKIR: And do not kill any one whom Allah has forbidden, except for a just cause, and whoever is slain unjustly, We have indeed given to his heir authority, so let him not exceed the just limits in slaying; surely he is aided. YUSUFALI: Come not nigh to the orphan's property except to improve it, until he attains the age of full strength; and fulfil (every) engagement, for (every) engagement will be enquired into (on the Day of Reckoning). PICKTHAL: Come not near the wealth of the orphan save with that which is better till he come to strength; and keep the covenant. Lo! of the covenant it will be asked. SHAKIR: And draw not near to the property of the orphan except in a goodly way till he attains his maturity and fulfill the promise; surely (every) promise shall be questioned about. YUSUFALI: Give full measure when ye measure, and weigh with a balance that is straight: that is the most fitting and the most advantageous in the final determination. PICKTHAL: Fill the measure when ye measure, and weigh with a right balance; that is meet, and better in the end. SHAKIR: And give full measure when you measure out, and weigh with a true balance; this is fair and better in the end. YUSUFALI: And pursue not that of which thou hast no knowledge; for every act of hearing, or of seeing or of (feeling in) the heart will be enquired into (on the Day of Reckoning). PICKTHAL: (O man), follow not that whereof thou hast no knowledge. Lo! the hearing and the sight and the heart - of each of these it will be asked. SHAKIR: And follow not that of which you have not the knowledge; surely the hearing and the sight and the heart, all of these, shall be questioned about that. YUSUFALI: Nor walk on the earth with insolence: for thou canst not rend the earth asunder, nor reach the mountains in height. PICKTHAL: And walk not in the earth exultant. Lo! thou canst not rend the earth, nor canst thou stretch to the height of the hills. SHAKIR: And do not go about in the land exultingly, for you cannot cut through the earth nor reach the mountains in height. YUSUFALI: Of all such things the evil is hateful in the sight of thy Lord. PICKTHAL: The evil of all that is hateful in the sight of thy Lord. SHAKIR: All this-- the evil of it-- is hateful in the sight of your Lord. YUSUFALI: These are among the (precepts of) wisdom, which thy Lord has revealed to thee. Take not, with Allah, another object of worship, lest thou shouldst be thrown into Hell, blameworthy and rejected. PICKTHAL: This is (part) of that wisdom wherewith thy Lord hath inspired thee (O Muhammad). And set not up with Allah any other god, lest thou be cast into hell, reproved, abandoned. SHAKIR: This is of what your Lord has revealed to you of wisdom, and do not associate any other god with Allah lest you should be thrown into hell, blamed, cast away. YUSUFALI: Has then your Lord (O Pagans!) preferred for you sons, and taken for Himself daughters among the angels? Truly ye utter a most dreadful saying! PICKTHAL: Hath your Lord then distinguished you (O men of Makka) by giving you sons, and hath chosen for Himself females from among the angels? Lo! verily ye speak an awful word! SHAKIR: What! has then your Lord preferred to give you sons, and (for Himself) taken daughters from among the angels? Most surely you utter a grievous saying. YUSUFALI: We have explained (things) in various (ways) in this Qur'an, in order that they may receive admonition, but it only increases their flight (from the Truth)! PICKTHAL: We verily have displayed (Our warnings) in this Qur'an that they may take heed, but it increaseth them in naught save aversion. SHAKIR: And certainly We have repeated (warnings) in this Quran that they may be mindful, but it does not add save to their aversion. YUSUFALI: Say: If there had been (other) gods with Him, as they say,- behold, they would certainly have sought out a way to the Lord of the Throne! PICKTHAL: Say (O Muhammad, to the disbelievers): If there were other gods along with Him, as they say, then had they sought a way against the Lord of the Throne. SHAKIR: Say: If there were with Him gods as they say, then certainly they would have been able to seek a way to the Lord of power. YUSUFALI: Glory to Him! He is high above all that they say!- Exalted and Great (beyond measure)! PICKTHAL: Glorified is He, and High Exalted above what they say! SHAKIR: Glory be to Him and exalted be He in high exaltation above what they say. SHAKIR: The seven heavens declare His glory and the earth (too), and those who are in them; and there is not a single thing but glorifies Him with His praise, but you do not understand their glorification; surely He is Forbearing, Forgiving. YUSUFALI: And We put coverings over their hearts (and minds) lest they should understand the Qur'an, and deafness into their ears: when thou dost commemorate thy Lord and Him alone in the Qur'an, they turn on their backs, fleeing (from the Truth). PICKTHAL: And We place upon their hearts veils lest they should understand it, and in their ears a deafness; and when thou makest mention of thy Lord alone in the Qur'an, they turn their backs in aversion. SHAKIR: And We have placed coverings on their hearts and a heaviness in their ears lest they understand it, and when you mention your Lord alone in the Quran they turn their backs in aversion. YUSUFALI: We know best why it is they listen, when they listen to thee; and when they meet in private conference, behold, the wicked say, "Ye follow none other than a man bewitched!" PICKTHAL: We are Best Aware of what they wish to hear when they give ear to thee and when they take secret counsel, when the evil-doers say: Ye follow but a man bewitched. SHAKIR: We know best what they listen to when they listen to you, and when they take counsel secretly, when the unjust say: You follow only a man deprived of reason. YUSUFALI: See what similes they strike for thee: but they have gone astray, and never can they find a way. PICKTHAL: See what similitudes they coin for thee, and thus are all astray, and cannot find a road! SHAKIR: See what they liken you to! So they have gone astray and cannot find the way. YUSUFALI: They say: "What! when we are reduced to bones and dust, should we really be raised up (to be) a new creation?" PICKTHAL: And they say: When we are bones and fragments, shall we forsooth, be raised up as a new creation? SHAKIR: And they say: What! when we shall have become bones and decayed particles, shall we then certainly be raised up, being a new creation? YUSUFALI: "Or created matter which, in your minds, is hardest (to be raised up),- (Yet shall ye be raised up)!" then will they say: "Who will cause us to return?" Say: "He who created you first!" Then will they wag their heads towards thee, and say, "When will that be?" Say, "May be it will be quite soon! SHAKIR: Or some other creature of those which are too hard (to receive life) in your minds! But they will say: Who will return us? Say: Who created you at first. Still they will shake their heads at you and say: When will it be? Say: Maybe it has drawn nigh. YUSUFALI: "It will be on a Day when He will call you, and ye will answer (His call) with (words of) His praise, and ye will think that ye tarried but a little while!" PICKTHAL: A day when He will call you and ye will answer with His praise, and ye will think that ye have tarried but a little while. SHAKIR: On the day when He will call you forth, then shall you obey Him, giving Him praise, and you will think that you tarried but a little (while). YUSUFALI: Say to My servants that they should (only) say those things that are best: for Satan doth sow dissensions among them: For Satan is to man an avowed enemy. PICKTHAL: Tell My bondmen to speak that which is kindlier. Lo! the devil soweth discord among them. Lo! the devil is for man an open foe. SHAKIR: And say to My servants (that) they speak that which is best; surely the Shaitan sows dissensions among them; surely the Shaitan is an open enemy to man. YUSUFALI: It is your Lord that knoweth you best: If He please, He granteth you mercy, or if He please, punishment: We have not sent thee to be a disposer of their affairs for them. PICKTHAL: Your Lord is Best Aware of you. If He will, He will have mercy on you, or if He will, He will punish you. We have not sent thee (O Muhammad) as a warden over them. SHAKIR: Your Lord knows you best; He will have mercy on you if He pleases, or He will chastise you if He pleases; and We have not sent you as being in charge of them. YUSUFALI: And it is your Lord that knoweth best all beings that are in the heavens and on earth: We did bestow on some prophets more (and other) gifts than on others: and We gave to David (the gift of) the Psalms. PICKTHAL: And thy Lord is Best Aware of all who are in the heavens and the earth. And we preferred some of the prophets above others, and unto David We gave the Psalms. SHAKIR: And your Lord best knows those who are in the heavens and the earth; and certainly We have made some of the prophets to excel others, and to Dawood We gave a scripture. YUSUFALI: Say: "Call on those - besides Him - whom ye fancy: they have neither the power to remove your troubles from you nor to change them." PICKTHAL: Say: Cry unto those (saints and angels) whom ye assume (to be gods) beside Him, yet they have no power to rid you of misfortune nor to change. SHAKIR: Say: Call on those whom you assert besides Him, so they shall not control the removal of distress from you nor (its) transference. YUSUFALI: Those whom they call upon do desire (for themselves) means of access to their Lord, - even those who are nearest: they hope for His Mercy and fear His Wrath: for the Wrath of thy Lord is something to take heed of. PICKTHAL: Those unto whom they cry seek the way of approach to their Lord, which of them shall be the nearest; they hope for His mercy and they fear His doom. Lo! the doom of thy Lord is to be shunned. SHAKIR: Those whom they call upon, themselves seek the means of access to their Lord-- whoever of them is nearest-- and they hope for His mercy and fear His chastisement; surely the chastisement of your Lord is a thing to be cautious of. YUSUFALI: There is not a population but We shall destroy it before the Day of Judgment or punish it with a dreadful Penalty: that is written in the (eternal) Record. PICKTHAL: There is not a township but We shall destroy it ere the Day of Resurrection, or punish it with dire punishment. That is set forth in the Book (of Our decrees). SHAKIR: And there is not a town but We will destroy it before the day of resurrection or chastise it with a severe chastisement; this is written in the Divine ordinance. YUSUFALI: And We refrain from sending the signs, only because the men of former generations treated them as false: We sent the she-camel to the Thamud to open their eyes, but they treated her wrongfully: We only send the Signs by way of terror (and warning from evil). PICKTHAL: Naught hindereth Us from sending portents save that the folk of old denied them. And We gave Thamud the she-camel - a clear portent save to warn. SHAKIR: And nothing could have hindered Us that We should send signs except that the ancients rejected them; and We gave to Samood the she-camel-- a manifest sign-- but on her account they did injustice, and We do not send signs but to make (men) fear. YUSUFALI: Behold! We told thee that thy Lord doth encompass mankind round about: We granted the vision which We showed thee, but as a trial for men,- as also the Cursed Tree (mentioned) in the Qur'an: We put terror (and warning) into them, but it only increases their inordinate transgression! PICKTHAL: And (it was a warning) when we told thee: Lo! thy Lord encompasseth mankind, and We appointed the sight which We showed thee as an ordeal for mankind, and (likewise) the Accursed Tree in the Qur'an. We warn them, but it increaseth them in naught save gross impiety. SHAKIR: And when We said to you: Surely your Lord encompasses men; and We did not make the vision which We showed you but a trial for men and the cursed tree in the Quran as well; and We cause them to fear, but it only adds to their great inordinacy. YUSUFALI: He said: "Seest Thou? this is the one whom Thou hast honoured above me! If Thou wilt but respite me to the Day of Judgment, I will surely bring his descendants under my sway - all but a few!" PICKTHAL: He said: Seest Thou this (creature) whom Thou hast honoured above me, if Thou give me grace until the Day of Resurrection I verily will seize his seed, save but a few. SHAKIR: He said: Tell me, is this he whom Thou hast honored above me? If Thou shouldst respite me to the day of resurrection, I will most certainly cause his progeny to perish except a few. YUSUFALI: (Allah) said: "Go thy way; if any of them follow thee, verily Hell will be the recompense of you (all)- an ample recompense. PICKTHAL: He said: Go, and whosoever of them followeth thee - lo! hell will be your payment, ample payment. YUSUFALI: "Lead to destruction those whom thou canst among them, with thy (seductive) voice; make assaults on them with thy cavalry and thy infantry; mutually share with them wealth and children; and make promises to them." But Satan promises them nothing but deceit. PICKTHAL: And excite any of them whom thou canst with thy voice, and urge thy horse and foot against them, and be a partner in their wealth and children, and promise them. Satan promiseth them only to deceive. YUSUFALI: "As for My servants, no authority shalt thou have over them:" Enough is thy Lord for a Disposer of affairs. PICKTHAL: Lo! My (faithful) bondmen - over them thou hast no power, and thy Lord sufficeth as (their) guardian. SHAKIR: Surely (as for) My servants, you have no authority over them; and your Lord is sufficient as a Protector. YUSUFALI: Your Lord is He That maketh the Ship go smoothly for you through the sea, in order that ye may seek of his Bounty. For he is unto you most Merciful. PICKTHAL: (O mankind), your Lord is He Who driveth for you the ship upon the sea that ye may seek of His bounty. Lo! He was ever Merciful toward you. SHAKIR: Your Lord is He Who speeds the ships for you in the sea that you may seek of His grace; surely He is ever Merciful to you. YUSUFALI: When distress seizes you at sea, those that ye call upon - besides Himself - leave you in the lurch! but when He brings you back safe to land, ye turn away (from Him). Most ungrateful is man! PICKTHAL: And when harm toucheth you upon the sea, all unto whom ye cry (for succour) fail save Him (alone), but when He bringeth you safe to land, ye turn away, for man was ever thankless. SHAKIR: And when distress afflicts you in the sea, away go those whom you call on except He; but when He brings you safe to the land, you turn aside; and man is ever ungrateful. YUSUFALI: Do ye then feel secure that He will not cause you to be swallowed up beneath the earth when ye are on land, or that He will not send against you a violent tornado (with showers of stones) so that ye shall find no one to carry out your affairs for you? PICKTHAL: Feel ye then secure that He will not cause a slope of the land to engulf you, or send a sand-storm upon you, and then ye will find that ye have no protector? SHAKIR: What! Do you then feel secure that He will not cause a tract of land to engulf you or send on you a tornado? Then you shall not find a protector for yourselves. YUSUFALI: Or do ye feel secure that He will not send you back a second time to sea and send against you a heavy gale to drown you because of your ingratitude, so that ye find no helper. Therein against Us? PICKTHAL: Or feel ye secure that He will not return you to that (plight) a second time, and send against you a hurricane of wind and drown you for your thanklessness, and then ye will not find therein that ye have any avenger against Us? SHAKIR: Or, do you feel secure that He will (not) take you back into it another time, then send on you a fierce gale and thus drown you on account of your ungratefulness? Then you shall not find any aider against Us in the matter. YUSUFALI: We have honoured the sons of Adam; provided them with transport on land and sea; given them for sustenance things good and pure; and conferred on them special favours, above a great part of our creation. PICKTHAL: Verily we have honoured the Children of Adam. We carry them on the land and the sea, and have made provision of good things for them, and have preferred them above many of those whom We created with a marked preferment. SHAKIR: And surely We have honored the children of Adam, and We carry them in the land and the sea, and We have given them of the good things, and We have made them to excel by an appropriate excellence over most of those whom We have created. YUSUFALI: One day We shall call together all human beings with their (respective) Imams: those who are given their record in their right hand will read it (with pleasure), and they will not be dealt with unjustly in the least. PICKTHAL: On the day when We shall summon all men with their record, whoso is given his book in his right hand - such will read their book and they will not be wronged a shred. SHAKIR: (Remember) the day when We will call every people with their Imam; then whoever is given his book in his right hand, these shall read their book; and they shall not be dealt with a whit unjustly. YUSUFALI: But those who were blind in this world, will be blind in the hereafter, and most astray from the Path. PICKTHAL: Whoso is blind here will be blind in the Hereafter, and yet further from the road. SHAKIR: And whoever is blind in this, he shall (also) be blind in the hereafter; and more erring from the way. YUSUFALI: And their purpose was to tempt thee away from that which We had revealed unto thee, to substitute in our name something quite different; (in that case), behold! they would certainly have made thee (their) friend! PICKTHAL: And they indeed strove hard to beguile thee (Muhammad) away from that wherewith We have inspired thee, that thou shouldst invent other than it against Us; and then would they have accepted thee as a friend. SHAKIR: And surely they had purposed to turn you away from that which We have revealed to you, that you should forge against Us other than that, and then they would certainly have taken you for a friend. YUSUFALI: And had We not given thee strength, thou wouldst nearly have inclined to them a little. PICKTHAL: And if We had not made thee wholly firm thou mightest almost have inclined unto them a little. YUSUFALI: In that case We should have made thee taste an equal portion (of punishment) in this life, and an equal portion in death: and moreover thou wouldst have found none to help thee against Us! PICKTHAL: Then had we made thee taste a double (punishment) of living and a double (punishment) of dying, then hadst thou found no helper against Us. SHAKIR: In that case We would certainly have made you to taste a double (punishment) in this life and a double (punishment) after death, then you would not have found any helper against Us. YUSUFALI: Their purpose was to scare thee off the land, in order to expel thee; but in that case they would not have stayed (therein) after thee, except for a little while. PICKTHAL: And they indeed wished to scare thee from the land that they might drive thee forth from thence, and then they would have stayed (there) but a little after thee. SHAKIR: And surely they purposed to unsettle you from the land that they might expel you from it, and in that case they will not tarry behind you but a little. YUSUFALI: (This was Our) way with the messengers We sent before thee: thou wilt find no change in Our ways. PICKTHAL: (Such was Our) method in the case of those whom We sent before thee (to mankind), and thou wilt not find for Our method aught of power to change. SHAKIR: (This is Our) course with regard to those of Our messengers whom We sent before you, and you shall not find a change in Our course. YUSUFALI: Establish regular prayers - at the sun's decline till the darkness of the night, and the morning prayer and reading: for the prayer and reading in the morning carry their testimony. PICKTHAL: Establish worship at the going down of the sun until the dark of night, and (the recital of) the Qur'an at dawn. Lo! (the recital of) the Qur'an at dawn is ever witnessed. SHAKIR: Keep up prayer from the declining of the sun till the darkness of the night and the morning recitation; surely the morning recitation is witnessed. YUSUFALI: And pray in the small watches of the morning: (it would be) an additional prayer (or spiritual profit) for thee: soon will thy Lord raise thee to a Station of Praise and Glory! PICKTHAL: And some part of the night awake for it, a largess for thee. It may be that thy Lord will raise thee to a praised estate. SHAKIR: And during a part of the night, pray Tahajjud beyond what is incumbent on you; maybe your Lord will raise you to a position of great glory. YUSUFALI: Say: "O my Lord! Let my entry be by the Gate of Truth and Honour, and likewise my exit by the Gate of Truth and Honour; and grant me from Thy Presence an authority to aid (me)." PICKTHAL: And say: My Lord! Cause me to come in with a firm incoming and to go out with a firm outgoing. And give me from Thy presence a sustaining Power. SHAKIR: And say: My Lord! make me to enter a goodly entering, and cause me to go forth a goodly going forth, and grant me from near Thee power to assist (me). YUSUFALI: And say: "Truth has (now) arrived, and Falsehood perished: for Falsehood is (by its nature) bound to perish." PICKTHAL: And say: Truth hath come and falsehood hath vanished away. Lo! falsehood is ever bound to vanish. SHAKIR: And say: The truth has come and the falsehood has vanished; surely falsehood is a vanishing (thing). YUSUFALI: We send down (stage by stage) in the Qur'an that which is a healing and a mercy to those who believe: to the unjust it causes nothing but loss after loss. PICKTHAL: And We reveal of the Qur'an that which is a healing and a mercy for believers though it increase the evil-doers in naught save ruin. SHAKIR: And We reveal of the Quran that which is a healing and a mercy to the believers, and it adds only to the perdition of the unjust. YUSUFALI: Yet when We bestow Our favours on man, he turns away and becomes remote on his side (instead of coming to Us), and when evil seizes him he gives himself up to despair! PICKTHAL: And when We make life pleasant unto man, he turneth away and is averse; and when ill toucheth him he is in despair. SHAKIR: And when We bestow favor on man, he turns aside and behaves proudly, and when evil afflicts him, he is despairing. YUSUFALI: Say: "Everyone acts according to his own disposition: But your Lord knows best who it is that is best guided on the Way." PICKTHAL: Say: Each one doth according to his rule of conduct, and thy Lord is Best Aware of him whose way is right. SHAKIR: Say: Every one acts according to his manner; but your Lord best knows who is best guided in the path. SHAKIR: And they ask you about the soul. Say: The soul is one of the commands of my Lord, and you are not given aught of knowledge but a little. PICKTHAL: And if We willed We could withdraw that which We have revealed unto thee, then wouldst thou find no guardian for thee against Us in respect thereof. SHAKIR: And if We please, We should certainly take away that which We have revealed to you, then you would not find for it any protector against Us. YUSUFALI: Except for Mercy from thy Lord: for his bounty is to thee (indeed) great. PICKTHAL: (It is naught) save mercy from thy Lord. Lo! His kindness unto thee was ever great. SHAKIR: But on account of mercy from your Lord-- surely His grace to you is abundant. SHAKIR: Say: If men and jinn should combine together to bring the like of this Quran, they could not bring the like of it, though some of them were aiders of others. YUSUFALI: And We have explained to man, in this Qur'an, every kind of similitude: yet the greater part of men refuse (to receive it) except with ingratitude! PICKTHAL: And verily We have displayed for mankind in this Qur'an all kind of similitudes, but most of mankind refuse aught save disbelief. SHAKIR: And certainly We have explained for men in this Quran every kind of similitude, but most men do not consent to aught but denying. SHAKIR: And they say: We will by no means believe in you until you cause a fountain to gush forth from the earth for us. SHAKIR: Or you should have a garden of palms and grapes in the midst of which you should cause rivers to flow forth, gushing out. SHAKIR: Or you should cause the heaven to come down upon us in pieces as you think, or bring Allah and the angels face to face (with us). YUSUFALI: "Or thou have a house adorned with gold, or thou mount a ladder right into the skies. No, we shall not even believe in thy mounting until thou send down to us a book that we could read." Say: "Glory to my Lord! Am I aught but a man,- a messenger?" PICKTHAL: Or thou have a house of gold; or thou ascend up into heaven, and even then we will put no faith in thine ascension till thou bring down for us a book that we can read. Say (O Muhammad): My Lord be Glorified! Am I aught save a mortal messenger? SHAKIR: Or you should have a house of gold, or you should ascend into heaven, and we will not believe in your ascending until you bring down to us a book which we may read. Say: Glory be to my Lord; am I aught but a mortal messenger? YUSUFALI: What kept men back from belief when Guidance came to them, was nothing but this: they said, "Has Allah sent a man (like us) to be (His) Messenger?" PICKTHAL: And naught prevented mankind from believing when the guidance came unto them save that they said: Hath Allah sent a mortal as (His) messenger? SHAKIR: And nothing prevented people from believing when the guidance came to them except that they said: What! has Allah raised up a mortal to be a messenger? YUSUFALI: Say, "If there were settled, on earth, angels walking about in peace and quiet, We should certainly have sent them down from the heavens an angel for a messenger." PICKTHAL: Say: If there were in the earth angels walking secure, We had sent down for them from heaven an angel as messenger. SHAKIR: Say: Had there been in the earth angels walking about as settlers, We would certainly have sent down to them from the heaven an angel as a messenger. YUSUFALI: Say: "Enough is Allah for a witness between me and you: for He is well acquainted with His servants, and He sees (all things). PICKTHAL: Say: Allah sufficeth for a witness between me and you. Lo! He is Knower, Seer of His slaves. SHAKIR: Say: Allah suffices as a witness between me and you; surely He is Aware of His servants, Seeing. YUSUFALI: It is he whom Allah guides, that is on true Guidance; but he whom He leaves astray - for such wilt thou find no protector besides Him. On the Day of Judgment We shall gather, them together, prone on their faces, blind, dumb, and deaf: their abode will be Hell: every time it shows abatement, We shall increase from them the fierceness of the Fire. PICKTHAL: And he whom Allah guideth, he is led aright; while, as for him whom He sendeth astray, for them thou wilt find no protecting friends beside Him, and We shall assemble them on the Day of Resurrection on their faces, blind, dumb and deaf; their habitation will be hell; whenever it abateth, We increase the flame for them. SHAKIR: And whomsoever Allah guides, he is the follower of the right way, and whomsoever He causes to err, you shall not find for him guardians besides Him; and We will gather them together on the day of resurrection on their faces, blind and dumb and deaf; their abode is hell; whenever it becomes allayed We will add to their burning. YUSUFALI: That is their recompense, because they rejected Our signs, and said, "When we are reduced to bones and broken dust, should we really be raised up (to be) a new Creation?" PICKTHAL: That is their reward because they disbelieved Our revelations and said: When we are bones and fragments shall we, forsooth, be raised up as a new creation? SHAKIR: This is their retribution because they disbelieved in Our communications and said What! when we shall have become bones and decayed particles, shall we then indeed be raised up into a new creation? 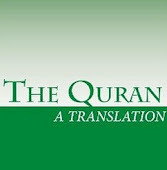 YUSUFALI: See they not that Allah, Who created the heavens and the earth, has power to create the like of them (anew)? Only He has decreed a term appointed, of which there is no doubt. But the unjust refuse (to receive it) except with ingratitude. PICKTHAL: Have they not seen that Allah Who created the heavens and the earth is Able to create the like of them, and hath appointed for them an end whereof there is no doubt? But the wrong-doers refuse aught save disbelief. SHAKIR: Do they not consider that Allah, Who created the heavens and the earth, is able to create their like, and He has appointed for them a doom about which there is no doubt? But the unjust do not consent to aught but denying. YUSUFALI: Say: "If ye had control of the Treasures of the Mercy of my Lord, behold, ye would keep them back, for fear of spending them: for man is (every) niggardly!" PICKTHAL: Say (unto them): If ye possessed the treasures of the mercy of my Lord, ye would surely hold them back for fear of spending, for man was ever grudging. SHAKIR: Say: If you control the treasures of the mercy of my Lord, then you would withhold (them) from fear of spending, and man is niggardly. YUSUFALI: To Moses We did give Nine Clear Signs: As the Children of Israel: when he came to them, Pharaoh said to him: "O Moses! I consider thee, indeed, to have been worked upon by sorcery! PICKTHAL: And verily We gave unto Moses nine tokens, clear proofs (of Allah's Sovereignty). Do but ask the Children of Israel how he came unto them, then Pharaoh said unto him: Lo! I deem thee one bewitched, O Moses. SHAKIR: And certainly We gave Musa nine clear signs; so ask the children of Israel. When he came to them, Firon said to him: Most surely I deem you, O Musa, to be a man deprived of reason. YUSUFALI: Moses said, "Thou knowest well that these things have been sent down by none but the Lord of the heavens and the earth as eye-opening evidence: and I consider thee indeed, O Pharaoh, to be one doomed to destruction!" PICKTHAL: He said: In truth thou knowest that none sent down these (portents) save the Lord of the heavens and the earth as proofs, and lo! (for my part) I deem thee lost, O Pharaoh. SHAKIR: He said: Truly you know that none but the Lord of the heavens and the earth has sent down these as clear proof and most surely I believe you, O Firon, to be given over to perdition. YUSUFALI: So he resolved to remove them from the face of the earth: but We did drown him and all who were with him. PICKTHAL: And he wished to scare them from the land, but We drowned him and those with him, all together. YUSUFALI: And We said thereafter to the Children of Israel, "Dwell securely in the land (of promise)": but when the second of the warnings came to pass, We gathered you together in a mingled crowd. YUSUFALI: We sent down the (Qur'an) in Truth, and in Truth has it descended: and We sent thee but to give Glad Tidings and to warn (sinners). PICKTHAL: With truth have We sent it down, and with truth hath it descended. And We have sent thee as naught else save a bearer of good tidings and a warner. SHAKIR: And with truth have We revealed it, and with truth did it come; and We have not sent you but as the giver of good news and as a warner. YUSUFALI: (It is) a Qur'an which We have divided (into parts from time to time), in order that thou mightest recite it to men at intervals: We have revealed it by stages. PICKTHAL: And (it is) a Qur'an that We have divided, that thou mayst recite it unto mankind at intervals, and We have revealed it by (successive) revelation. SHAKIR: And it is a Quran which We have revealed in portions so that you may read it to the people by slow degrees, and We have revealed it, revealing in portions. SHAKIR: Say: Believe in it or believe not; surely those who are given the knowledge before it fall down on their faces, making obeisance when it is recited to them. YUSUFALI: "And they say: 'Glory to our Lord! Truly has the promise of our Lord been fulfilled!'" PICKTHAL: Saying: Glory to our Lord! Verily the promise of our Lord must be fulfilled. SHAKIR: And they say: Glory be to our Lord! most surely the promise of our Lord was to be fulfilled. YUSUFALI: They fall down on their faces in tears, and it increases their (earnest) humility. PICKTHAL: They fall down on their faces, weeping, and it increaseth humility in them. SHAKIR: And they fall down on their faces weeping, and it adds to their humility. YUSUFALI: Say: "Call upon Allah, or call upon Rahman: by whatever name ye call upon Him, (it is well): for to Him belong the Most Beautiful Names. Neither speak thy Prayer aloud, nor speak it in a low tone, but seek a middle course between." PICKTHAL: Say (unto mankind): Cry unto Allah, or cry unto the Beneficent, unto whichsoever ye cry (it is the same). His are the most beautiful names. And thou (Muhammad), be not loud-voiced in thy worship nor yet silent therein, but follow a way between. SHAKIR: Say: Call upon Allah or call upon, the Beneficent Allah; whichever you call upon, He has the best names; and do not utter your prayer with a very raised voice nor be silent with regard to it, and seek a way between these. YUSUFALI: Say: "Praise be to Allah, who begets no son, and has no partner in (His) dominion: Nor (needs) He any to protect Him from humiliation: yea, magnify Him for His greatness and glory!" PICKTHAL: And say: Praise be to Allah, Who hath not taken unto Himself a son, and Who hath no partner in the Sovereignty, nor hath He any protecting friend through dependence. And magnify Him with all magnificence. SHAKIR: And say: (All) praise is due to Allah, Who has not taken a son and Who has not a partner in the kingdom, and Who has not a helper to save Him from disgrace; and proclaim His greatness magnifying (Him).